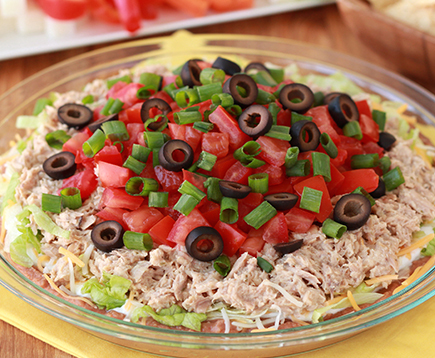 Tuna Creations® Ranch – select cuts of premium tuna seasoned with buttermilk, garlic and herbs and all the flavor of America’s favorite salad dressing! 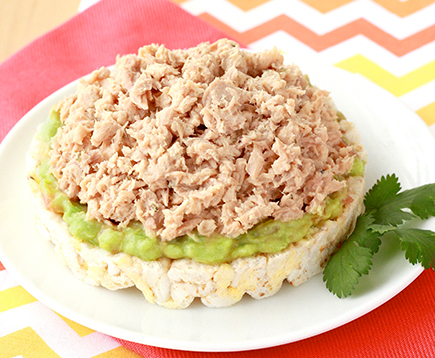 Under 100 calories per Single Serve Pouch, this tuna adds a zesty flavor to your lunchtime salad and your kids will love it too! It’s even perfect for eating right out of the pouch! 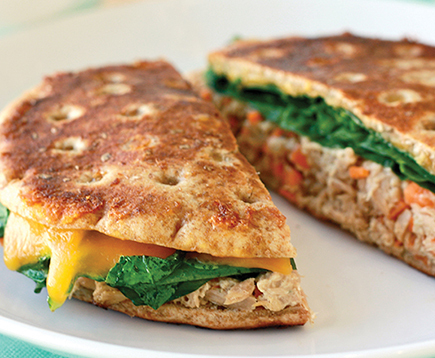 For other ideas, check out some simple recipe ideas for salads, sandwiches and a buffalo pizza! 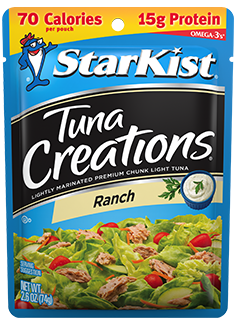 ++StarKist® Tuna Creations® Ranch has 90mg per serving of EPA and DHA omega-3s combined.